Nickelodeon's beloved children's show about music playing merpeople comes to the stage! Why See Bubble Guppies Live? See the Guppies Live On-Stage! Head down to Bubbletucky with your favourite characters from Nickelodeon's Bubble Guppies in an all new live stage show! The gang, including Molly and Gil, are ready to rock 'n' roll but then a member of the band disappears. With the help of Mr. Grouper the pair embark on an adventure to find their lost bandmate. Featuring fantastic song and dance numbers, some impressive puppetry and a whole load of audience participation, Bubble Guppies Live is the perfect show to keep the little ones entertained (while the adults might just find themselves dancing in the aisles too!). 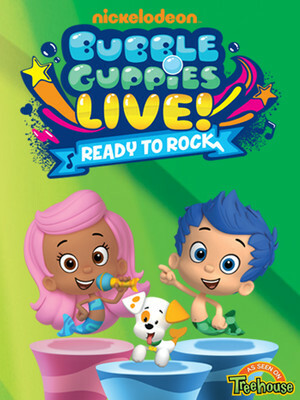 Bubble Guppies Live is created by Koba Entertainment, a production company who have a long history of making quality theatrical adaptations of children's TV shows. Among their past productions are Toopy and Binoo: Fun and Games and Max & Ruby in the Nutcracker Suite. Sound good to you? Share this page on social media and let your friends know about Bubble Guppies Live at Toyota Oakdale Theatre. 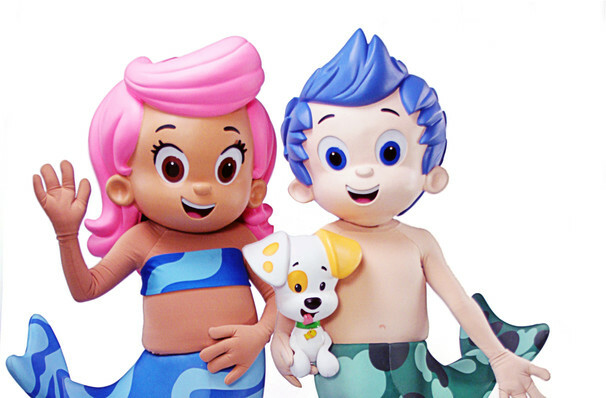 Please note: The term Toyota Oakdale Theatre and/or Bubble Guppies Live as well as all associated graphics, logos, and/or other trademarks, tradenames or copyrights are the property of the Toyota Oakdale Theatre and/or Bubble Guppies Live and are used herein for factual descriptive purposes only. We are in no way associated with or authorized by the Toyota Oakdale Theatre and/or Bubble Guppies Live and neither that entity nor any of its affiliates have licensed or endorsed us to sell tickets, goods and or services in conjunction with their events.